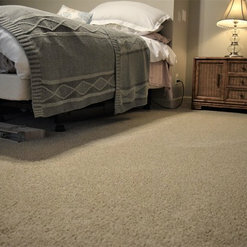 *Authorized Dealer of Shaw Floors* A home is a sanctuary. A sanctuary where you want to relax, watch tv, or read a book. However, decorating can be a difficult thing to do. 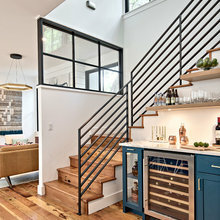 You want it to match your style and personality, while making it warm and inviting for visitors. 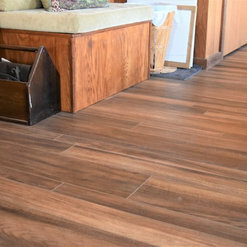 When you want a new flooring installed, Kemper Flooring has you covered. 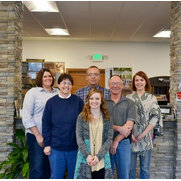 We have our own installers on staff who are kind, courteous, and professional people. 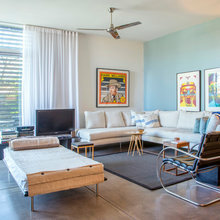 They will answer any questions you have, from asking about moving your furniture to asking about how they know flooring and how long they have been installing. Each installer is known to be a perfectionist. They make sure that the job is done correctly the first time around. With this in mind, we do not set time limits for a job. If for some reason a job takes longer than anticipated, the installers will continue to work until the job is completed. If we have a new installer, they will always be partnered with an installer who has 5+ years of experience. We take pride in our installers’ work. As it is stated above, a home is a sanctuary. When you purchase your new flooring, make sure to have it installed by Kemper Flooring. We treat our customers like family. Because, we are More… than just floors. Proudly serving Fort Wayne and the surrounding communities for over 20 years. Located just 5 minutes South of Interstate 469 on Highway 1. 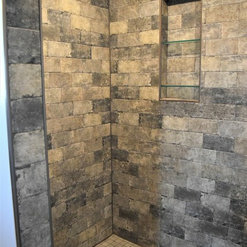 Featuring Carpet, Vinyl, Luxury Vinyl Tile, Porcelain Tile, Hardwood, Laminate, Backsplashes, Custom Showers. Also now carrying Cambria Countertops to complete your kitchen or bathroom design. 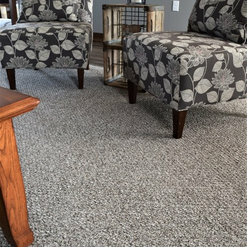 24 Projects for Kemper Flooring Inc.
6 Reviews for Kemper Flooring Inc.
We could not have asked for a better company to do our remodel. 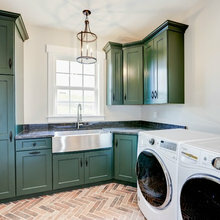 Kemper Flooring stayed in touch, always returned our calls, stayed on schedule and budget and best of all...did a beautiful job on our kitchen remodel. 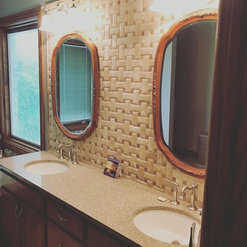 From a new kitchen ceiling to matching our old cabinet stain to beautiful quartz counters, tile backsplash and painting, we are so pleased with the finished project. 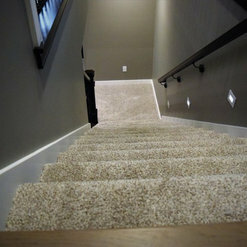 We have already recommended Kemper Flooring to our neighbor and would certainly hire them again at our home. Thank you for the kind words! 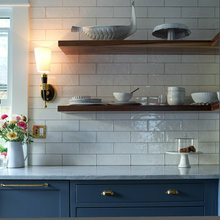 It was so wonderful to work with you and help to remodel your kitchen. We were upgrading a few rooms to vinyl wood planking. 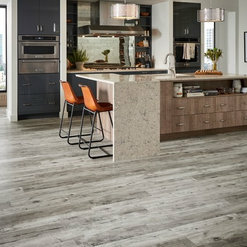 Kemper Flooring was great in assisting us with the right choice of flooring and getting the color correct to compliment wood cabinetry in kitchen. We brought home several samples and even took a sample of our cabinet color in. 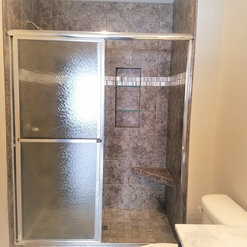 Installation was top notch as the workmen did a terrific job on getting installation done quickly and professionally. They worked with getting the stain color on wood edging to blend well with both our existing molding and the new flooring. I wood highly recommend this company. Thank you so much for the kind words and the opportunity to work with you! The Kemper Flooring team was outstanding! We built a new Tharp was finished August 1 2018. This home is our last of 15 moves over 50 years. With Kemper’s professional help we were able to accomplish this while living 500 miles away. 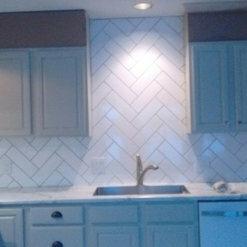 They supplied all the flooring, bathroom tile, kitchen backsplash and advice in other parts of the house. Their part of the project was done on time, on budget and very professional. Since this part was done within the overall cost of the new house their cost is not broken out. But the actual overall cost is over $12,000. I would highly recommend them in their area of expertise. True professionals from the office staff to the installers. Thank you! We loved working with you and your wife! 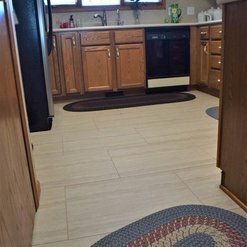 It is so nice to hear that you love everything from the flooring to the backsplash. You two deserve a home to fit your liking after moving 15 times in 50 years. We are so glad that we could help you accomplish that! I purchased a queen bed with adjustable base and service from Cindy was professional, knowledgeable. Delivery was smooth and very neat. I would highly recommend them! We had a wonderful experience with Kemper Flooring starting with the salesperson & ending with the Installers. They were efficient & did the work in a timely fashion. 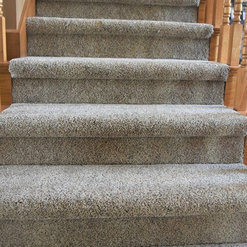 We would highly recommend this business for your carpeting needs. 10 Ideabooks for Kemper Flooring Inc.
HU-198988347 reviewed Kemper Flooring Inc. Commented: Flooring opinions for transition from main area into studyThere are many rooms that change flooring from carpet to hardwood to vinyl. It is very normal to have different rooms change flooring even though it may not have a door. 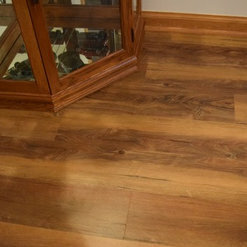 Commented: Brands of Engineered Hardwood FlooringBella Cera is a good hardwood to lay down. Shaw and Bruce are wonderful to lay down also. 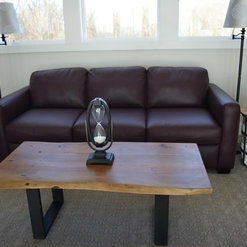 We lay down a lot of Bruce and Shaw engineered hardwood.